The last few years have seen the intriguing rise of a niche market in theatrical film releases: the Christian film. Made for and marketed explicitly to white Christian conservatives, films like Heaven is for Real, God’s Not Dead and The Shack have found surprising popularity with their target audiences, despite critical derision. With the upcoming release of Pure Flix’s The Case for Christ (or, based on the trailer, Christian Zodiac), the recent wave of movies catering to evangelical audiences doesn’t seem to be going away soon. It’s easy to punch down at the simple tastes of gormless Midwesterners from our ivory towers of cinephilia, but this market, spearheaded by independent distribution companies like Pure Flix, is serving a need mainstream movies aren’t providing. Despite the ostensible good intensions of the Christian film market, however, Christians deserve better movies than they’re getting. Jacob Oller of The Guardian recently dubbed this new trend “Christsploitation” — “exploitation movies for the youth group crowd” — and rightly so. The cheapness and shoddy filmmaking of these movies seems to matter little to their target audience, who likely already feel left behind by the more inclusive, secular proclivities of mainstream and independent film. To that end, Pure Flix and other companies seek to fill that void by offering inoffensive, unchallenging, and comforting films to people who may be willing to overlook poor storytelling if it tells them a story they want to hear. What’s most disturbing about the Christsploitation canon is how few films seem to be about actual Christianity, trading sincere explorations of faith for cynical pandering to conservative scare tactics. The plots and themes of these films feel sourced from late-night Fox News binges and Facebook shares from your sheltered aunt: Last Ounce of Courage, for instance, is less about faith than it is about one man’s quest to prevent a town from somehow banning Christmas(?). The two God’s Not Dead films gift Midwestern Christian protagonists a nifty persecution complex, as they struggle against the demons of secular academia. You can spot the villains in these films by their ACLU membership cards. On top of their divisive, simplistic messaging, they’re just poorly made movies. They tend to be headlined by B-list stars like Kevin Sorbo and Greg Kinnear, with Hallmark-level cinematography and flat lighting that don’t deserve the kiss of a film projector. The scripts, of course, have the unenviable task of adapting some self-help book or Facebook meme, forcing Greg Kinnear to spout trite, greeting-card quality nonsense like, “Is heaven a hope? Or as real as the earth and sky?” The roots of the evangelical film market were born in the halcyon days of the low-budget VHS era, where direct-to-video Christian film companies spammed video stores with titles like Apocalypse and Left Behind II: Tribulation Force. Even in the age of HD video and million-dollar budgets, it seems like they haven’t quite shaken that aesthetic. This is not to say that every Christian movie of this stripe is universally bad. As this nascent industry has matured, we’ve seen films that have progressed to adequate-to-good levels of filmmaking. Miracles from Heaven, the 2016 movie where Jennifer Garner has a crisis of faith in the wake of her child’s progressing illness (only to see her child miraculously cured by an accident), is a surprisingly artful example. It’s no masterpiece, but director Patricia Riggen (The 33) manages to imbue the proceedings with a wonderful visual eye, and Garner and Kylie Rogers (playing the daughter) do wonders with the material they’re given. The higher budgets of recent Christian films even allow for flawed-but-effective historical dramas like the $20 million Risen, where Joseph Fiennes’ Roman soldier has to search for Christ’s missing body after he is resurrected. What makes these films work more than their cynical brethren, apart from relatively improved mise-en-scene and performances, is they are Christian films that are about Christianity. 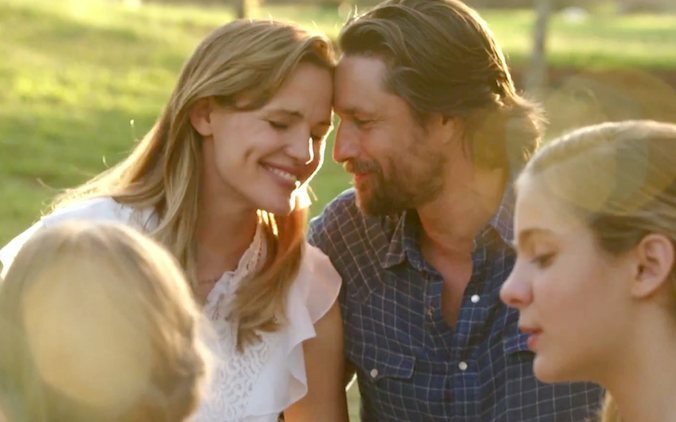 There are no ACLU stooges or stuffy college professors to combat in Miracles from Heaven; the conflict comes from Garner’s crisis of faith spurred by her daughter’s illness, and how the titular “miracle” challenges that. Risen earnestly explores the Resurrection of Christ from a historical context, showing how Fiennes’ character comes to believe in Jesus based on what he sees in his journey. These films should be the rule and not the exception: films that discuss the lived experiences of Christians and issues relating to their faith, presenting their ideas through skillful filmmaking. Despite these small victories, Christian movies still have a long way to go. While the occasional prestige film crops up to entice and challenge audiences of faith (Scorsese’s done this twice: The Last Temptation of Christ and last year’s stellar Silence), the Pure Flix model of Christsploitation seems to continue unabated. To my mind, these films sell Christian audiences short, insulting their intelligence by catering to a specifically consumerist brand of religion that conflates Christianity with conservatism. Instead of releasing sloppy polemics about the Big Bad Government taking away prayer in schools or Christmas for the sake of political correctness, people of faith deserve to see movies about their faith and what it means to them. Just focus on making a good film, Pure Flix; if you do, you might just get crossover appeal from non-Christian audiences. You wouldn’t just have to preach to the choir.